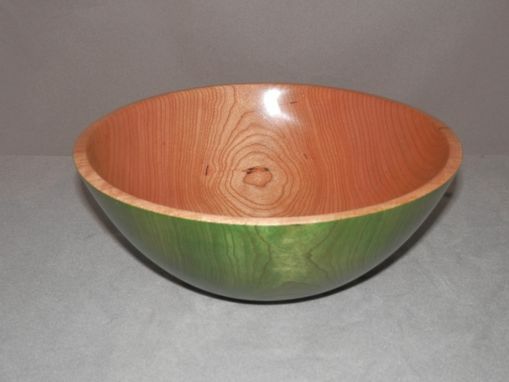 Cherry Bowl With Green Dye. This is a cherry bowl 7"x4" dyed green on the outside and natural on the inside. Finish is antique oil then buffed.